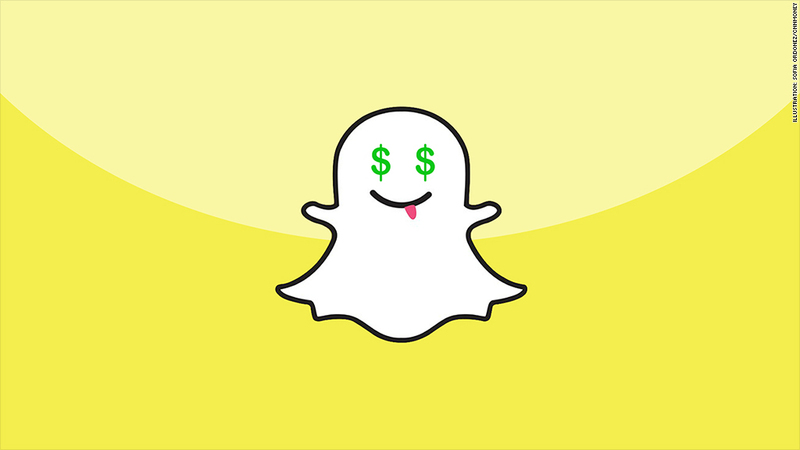 Snapchat could be soon be valued at north of $20 billion. That is, if investors bite. Snapchat looks to be seeking at least $200 million in new funding, according to a filing provided by VC Experts, which shows the company authorized 7.5 million new shares on May 13. This fundraising, first reported by TechCrunch on Monday evening, is an extension of the company's March round of financing when it raised $175 million from Fidelity. That valued the company at $16 billion. The additional funds would give the company a $22.7 billion valuation, according to VC Experts. That assumes that the shares are still priced at $30.72 (the value of the Fidelity round) and that all authorized shares are issued -- which VC Experts said is rare. According to Robert Peck, analyst at SunTrust, the valuation isn't overblown by any stretch. "It's following Facebook's trajectory," he told CNNMoney, adding that when you look at the third and fourth year of both companies, Snapchat closely tracks Facebook's (FB) valuation and exceeds its revenue projections. "We've been hearing a lot of increased investor interest," he said. A valuation of more than $20 billion would make Snapchat one of the five most valuable privately-held companies in the world, according to data from CB Insights. Palantir and Didi Kuaidi are both valued at $20 billion, while Uber, Xiaomi, Airbnb are at $62.5 billion, $46 billion and $25.5 billion, respectively. Facebook reportedly tried to buy Snapchat for $3 billion in 2013. Snapchat, helmed by 25-year-old CEO and founder Evan Spiegel, has been beefing up its talent pool in recent months. It snagged security and privacy expert Moti Yung from Google (GOOG) and hired Pandora executive Tom Conrad as VP of product. In March, it released half a dozen new features, including voice calls and audio and video messaging. It already has a serious foothold with the younger demographic. Variety did a study with Snapchat, which found that 63% of 13- to 24-year-olds used Snapchat as their primary source for messaging. Moreover, a Piper Jaffray report earlier this year revealed that Snapchat had taken over Instagram as the teen app of choice. The company has nearly 150 million daily users.